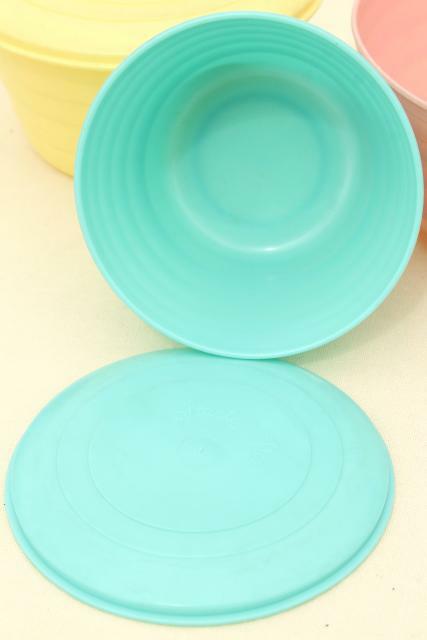 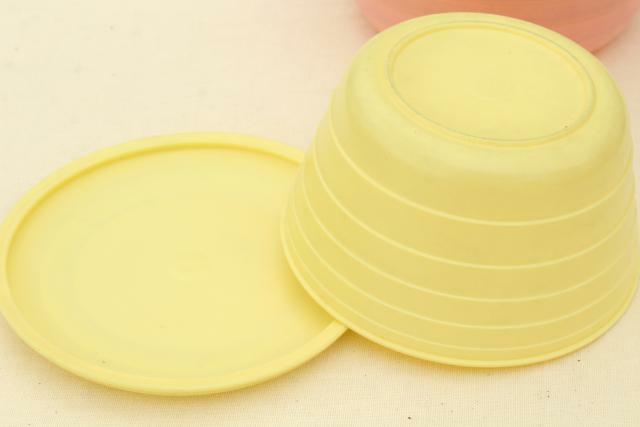 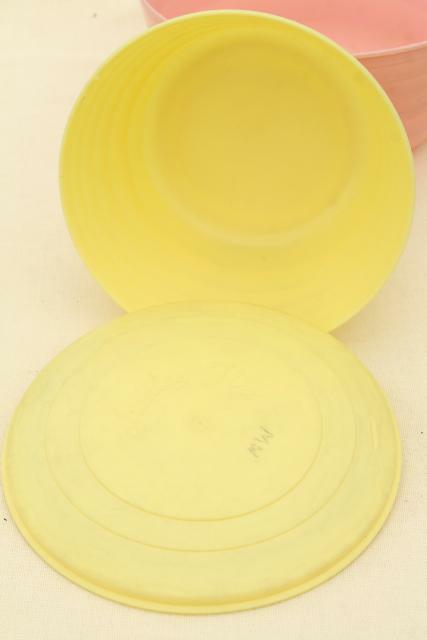 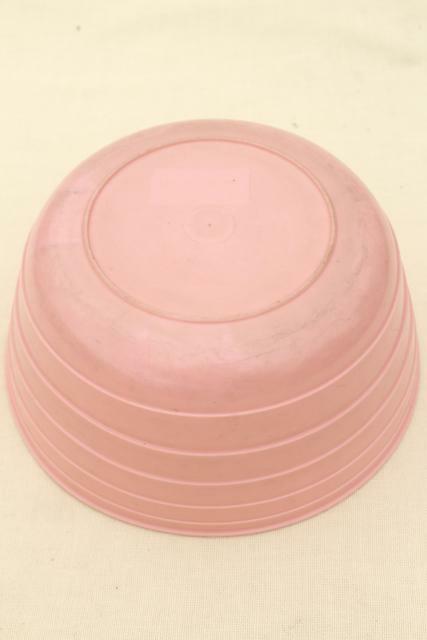 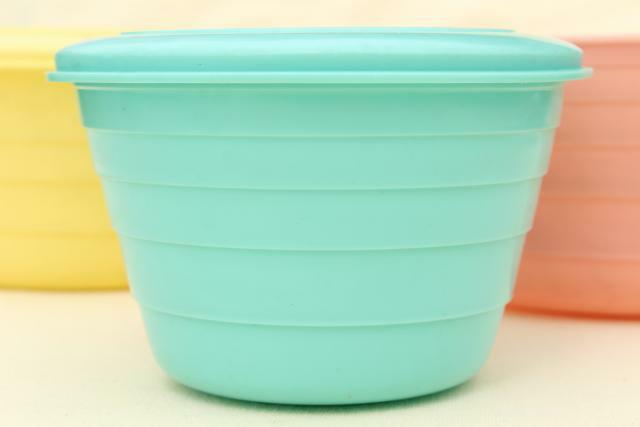 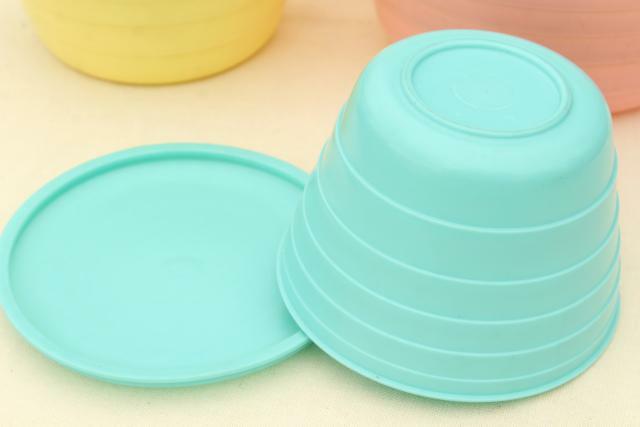 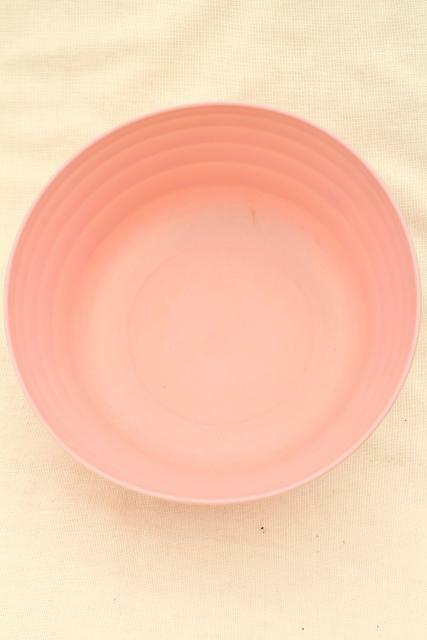 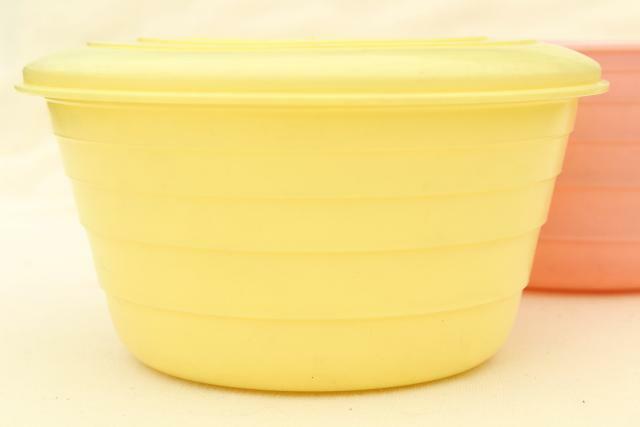 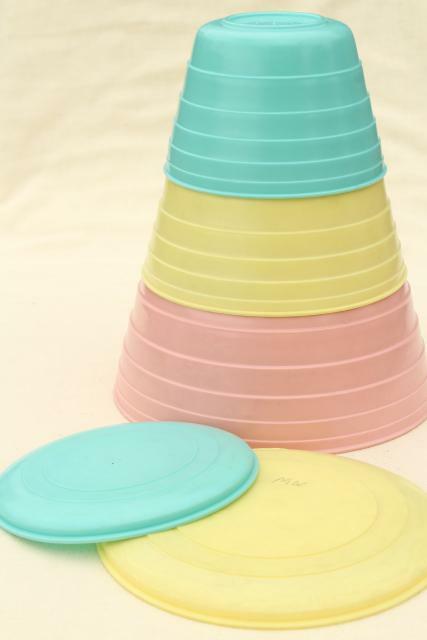 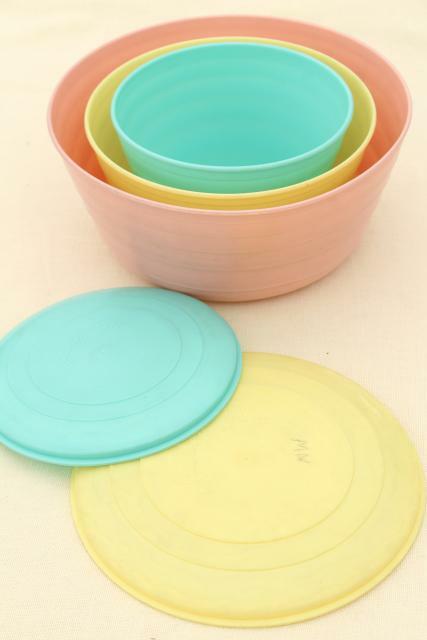 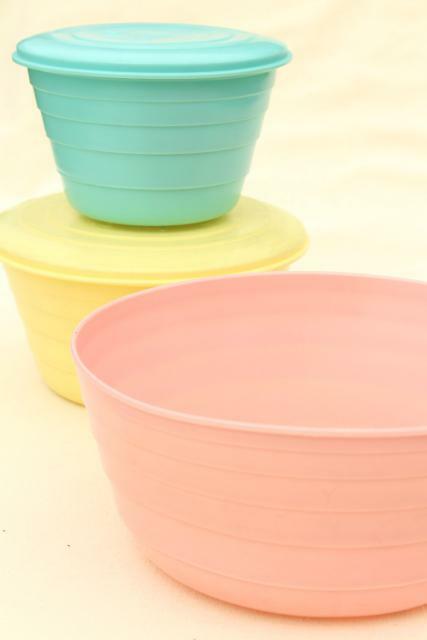 50s 60s vintage Stanley plastic bowls, a nesting stack in aqua, yellow and pink! 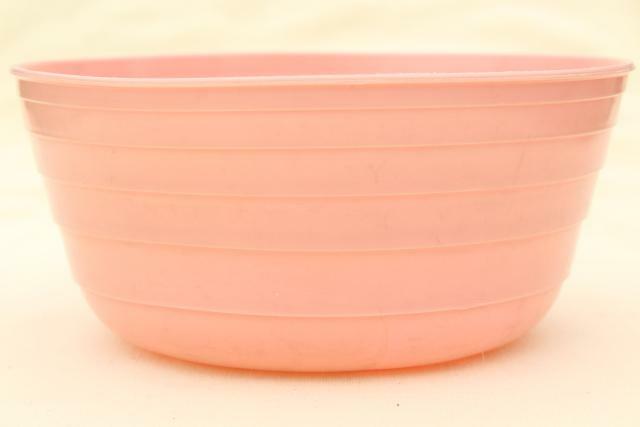 The largest bowl measures 8 3/4" x 4 3/4". 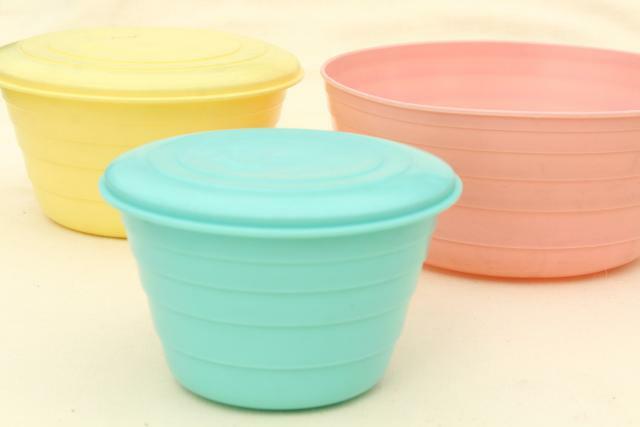 It has no lid, but the yellow and aqua bowls both have their lids. 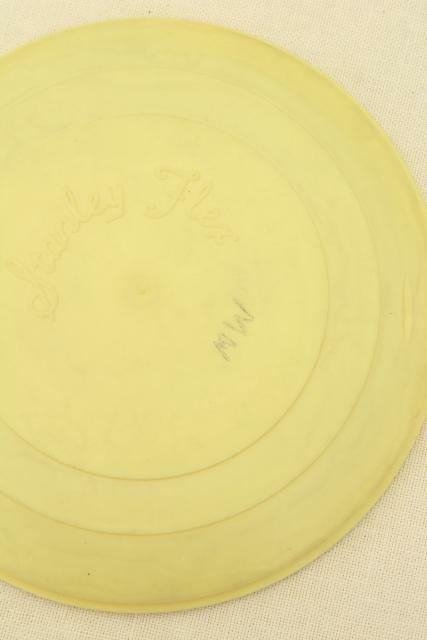 These are all showing some use, and have former owner's name in marker. 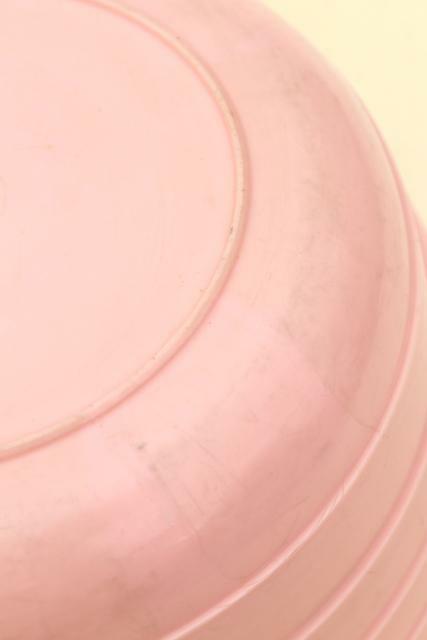 We haven't tried to remove it with anything stronger than soap and water.